Gain a true, comprehensive understanding of your metabolism, fat loss, and how muscle plays a crucial role towards your success. When you attend a class, you’ll be surrounded by like-minded people pursuing wellness with the help of our coaches. You will also learn a lot about different fitness techniques from our trainers. 1 on 1 personal training with a coach and a nutrition plan designed to meet your fitness needs and goals! Learn how to lift properly from our elite level coaches. 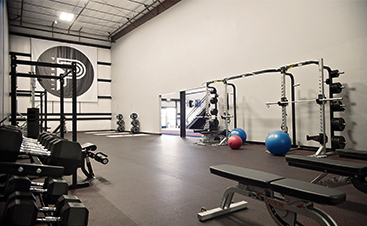 All of our training programs are written just for you & can accommodate all different levels of lifting experience. 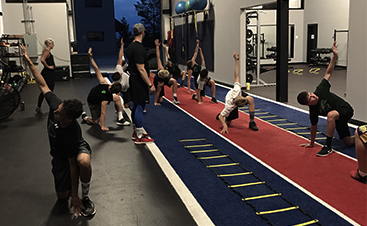 Sessions are designed to increase an athlete’s physical and mental stamina to go the distance and dominate every time they STEP into play. Classes range from 7 years old to professional.